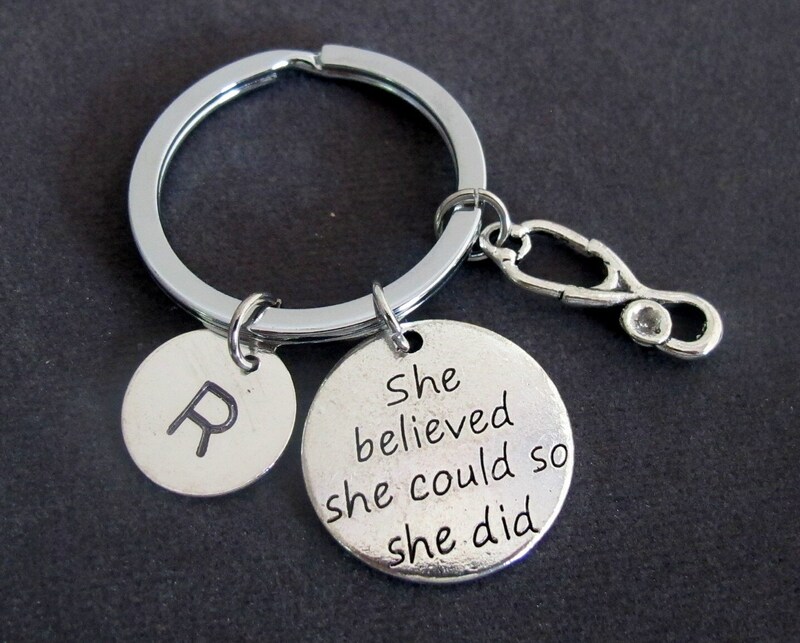 This is a Perfect Personalized Medical Keychain with Unique Charm of Stethoscope, Initial and a Career Boosting Quote: " She Believed She Could So She Did "
A great gift for Medical Students, Nursing for encouraging them to be achievers! Great quality! 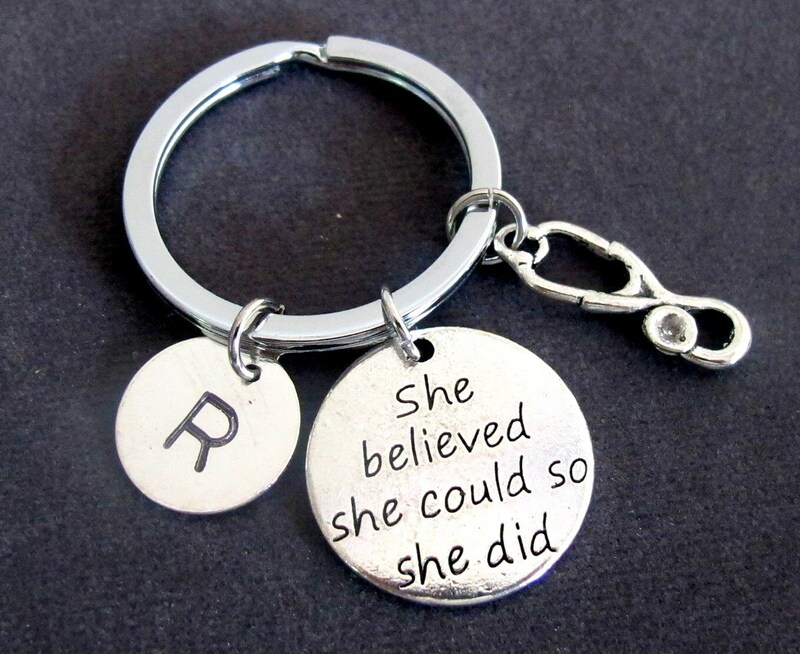 This made a very nice gift for a co-worker. Thanks! Truly a fabulous job!!! I'm so impressed with the item, which is so shiny and has perfectly sized and shiny charms, and the expert and careful way it was packaged. Incredible shop!! I will buy items again and again!! !